Serbia could earn hundreds of millions of EUR from the opening of the jadarite mine, mineral from which is got expensive lithium per year. If the assessments of the company “Rio Tinto”, which investigates the site of jadarite and boron in Jadar area near Loznica, are correct, the residents of the area live in the country worth at least 10 billion EUR. The study site was in the final stages, and by the beginning of 2017th, “Rio Tinto” has an obligation to submit study on the reserves of minerals to the Ministry of Energy. When the Ministry commission accepts it, the company “Rio Tinto”, which will have the right to exploit it because it has discovered the site, should start the process of mine opening. Energy Minister Aleksandar Antic says that Serbia could count on annual sales of several hundred MEUR from the mine opening. 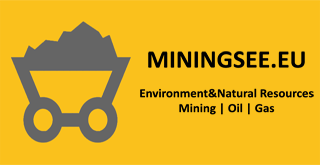 – Our part is attached to the mining rent which will be significant. In addition, there is also a multi-dimensional interest of the state. Just the mine opening brings an investment of over one billion dollars and more than a thousand jobs. Estimates are that at one miner goes six or seven new jobs on the territory of the mine. There are also revenues from VAT, then taxes and contributions for employees – said Antic. How much serious are the intentions of “Rio Tinto”, shows the fact that they have invested more than 60 million dollars so far only in findings research. Our advantage is that jadarite, named by the place where it was discovered – in the valley of the river Jadar, there is nowhere in the world, but only in Serbia. The company estimates that there are 114.6 million tonnes of ore jadarite, with about 13.1 percent of boron oxide and 1.8 percent of lithium oxide in the reservoir zone of Jadar, which could meet as much as 20 percent of the world needs. On the world market this ore is priced up to 5,000 EUR per ton. Although it was expected that the mine in Jadar basin would be still open in 2014th, the inhabitants of the region still do not lose hope and firmly believe that their lives will be change. Some even believe that in this case the price of land in the Upper Jadar will jump and that one hectare price will exceed 15,000 EUR. Of course, there are those who pessimistically argue that there is nothing of the story. Cikote, Stupnica, Draginac, Brezjak, Nedeljice are villages in which has been registered presence of jadarite mineral. Milenko Djuric from Draginc says that they all hope to mine because it would be good for the whole of Serbia. – A company that conducts research here has utterly correct relations with other villages. Once they helped by arranging a football field In Brezjak, and wherever claw their way for their needs, always left it in serviceable condition – Djuric said.